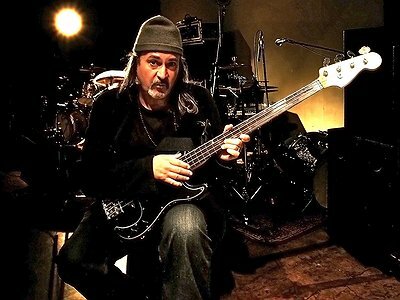 15 questions | Interview | Bill Laswell | Art is a Hammer. I started playing electric bass around 12 or 13. Playing in live bands by 14 I chose music to avoid becoming a criminal. Based on my overall outlook at the time I felt I only had 2 options. As far as early passions or influences … Bass players, I remember Duck Dunn and Chuck Rainey in the beginning. And later on Jack Bruce, mainly for his aggressive approach. Originality is crucial. As far as a phase of learning, emulating others should be held at a minimum. The danger of being a copy exists. Gurdjieff said “learning can tie you up, keep you back, knowing is direct when there is nothing between you and what you know …” Development was intuitive for me and mysterious. The means to express yourself should be born of life experience. The secret of fascination, the unknown, the nagual. My instrument is a tool, an object … used to build, construct and deconstruct … used to express ideas, options, light, dark, make it rain … Art is not a mirror, it is a hammer. I missed the “permission to do certain things” phase … as well as being “allowed” to take decisions (didn’t happen …). I was encouraged by certain artists (not just musicians) to realize you can do what you want as long as you don’t give up. Artistic challenges never really stop. They change constantly, as it should be. Real improvisers have a constantly moving repertoire, language, multiple languages that interact … transmutation, time travel … Composition as solid defined existing form … by means of notation, sealing memory. Improvisation, once recorded is also a fixed form, contained and can be repeated endlessly as the same piece everytime. Sound, space and performance, all part of the same projection. I totally agree with Derek’s perspective. There are many ways to word this statement of course. All materials are transformable … simulacra and simulation. And Derek Bailey was a total original … one of the very special few. On John Stevens – I don’t agree with rules in music and sound. (1) I always play too loud. (2) The musicians should relate if they’re directly communicating. All group configurations are different … unless you are repeating yourself. Solo is very different and personal, I haven’t done that as much as I would like to … In the duet phase at the moment, with John Zorn, Milford Graves, Wadada Leo Smith, Colin Stetson and others. There are many original artists. Unfortunately, there are many more than that who have no voice. The potential is anywhere and everywhere, scattered among the pointless disappointments (navigate). transformation. If anyone connects on a higher level, life can change. Comparing improvisation and the recording of improvisation … an environment or pushing a button should not make a difference … if everyone is totally inside the music. It’s the same. Listening is fundamental … can be the whole story. Also playing independent and not listening or communicating with others can be another way … Doesn’t work for everyone however. All forms of expression and creativity are deeply connected. Painting, writing and film can all resonate sonically … (vibration), hallucination. Music can cast images, shapes, patterns, simulate transformation, and hallucination again. Sound – the ultimate drug. The promo system ... I usually become very active with PR when there is an active label in place which is the case at the moment. I think it’s very important. It makes people aware of the music. Good journalism can help a lot … It’s said that “all press is good press”, which is totally not true. I’m not sure how PR effects sales but hopefully on some level, it does something. Not so much a musical vision, more like a plan or idea that could be realised, financial reasons are usually the reason projects don’t happen … and do happen. Music can always be beyond it’s current form. Current form – not so exciting. It’s impossible to focus on only 2 artists, where are so many … Information on artists and music is very easy to access today. Most of the great musicians … your readers are aware of. I also feel that the greatest music is coming. Look for new artists and don’t forget the masters. Stay conscious, stay available … A light will come on. Art is the word that light writes in space. "Artistic challenges never really stop. They change constantly, as it should be."